Although it didn’t pan out quite as expected the forecast wasn’t bad given the unpredictability when an Atlantic storm passes nearby. There was plenty of sunshine everywhere although Thursday was definitely a dreary day. We were in the south and the faces in the hotel around us were as glum as the clouds. There was some rain but not much… until Saturday. A yellow weather alert for heavy rain everywhere except the north turned into an orange level alert for all of the island, but only after there were raging rivers rushing through normally dry barrancos. 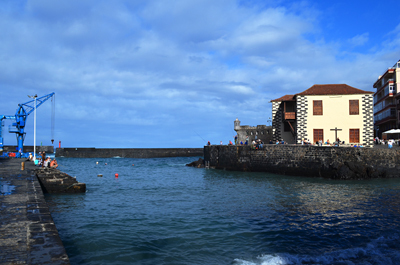 In the end, the east of the island along with the north coast down to the Orotava Valley experienced a fierce deluge on Saturday afternoon. By Sunday the sky was clear and the sun shining hotly. 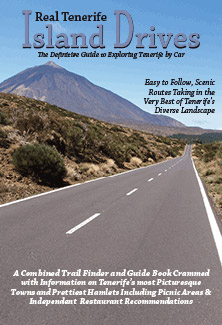 Weather in South Tenerife – Although there’s a chance of rain on Monday afternoon (70%) and a slight chance of showers for the rest of the week (5-20%) the forecast is for a week where there’s a mix of sun and cloud every day and shade temperatures which stay around 23/25C all week. 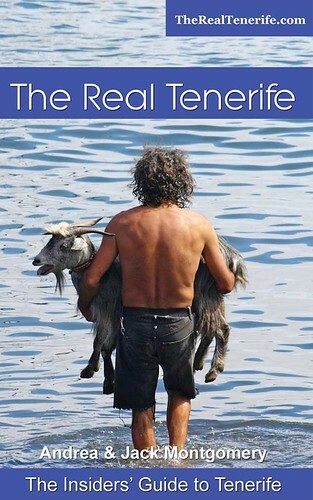 Weather in North Tenerife – It’s a different outlook for the north where although the forecast is also for sun and cloud every day, there will almost definitely be intermittent rain throughout the week with the possibility of showers veering between 50% and 95% each day. Shade temperatures could stay around 20/22C all week. 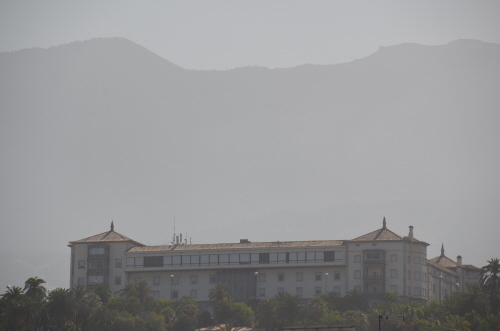 Weather in East Tenerife – The outlook for Santa Cruz is for quite a damp, grey week with no sunny spells forecast for Tuesday, Wednesday and Sunday. Like the north, rain is likely at some point each day (45-95%). Temperatures should stay around 20/22C all week. 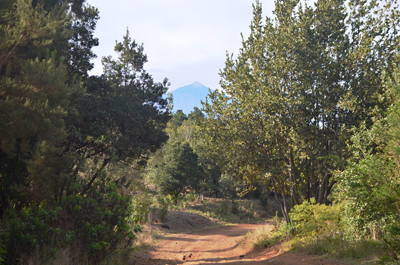 Weather in South West Tenerife – The south west mostly mirrors the south except there’s a 60% chance of rain this afternoon and temperatures should hang around 22/24C all week. 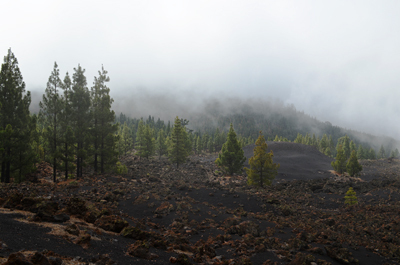 Weather in the Mount Teide Crater – It could be yet another mixed week in Teide National Park with the sun shining every day but also with rain showers expected at some point. 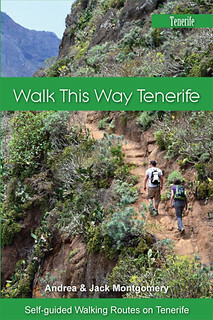 On the summit of Mount Teide there should be a lot of sunshine but Monday, Tuesday and Friday afternoons could see snow showers whilst there could be light rain throughout Thursday. 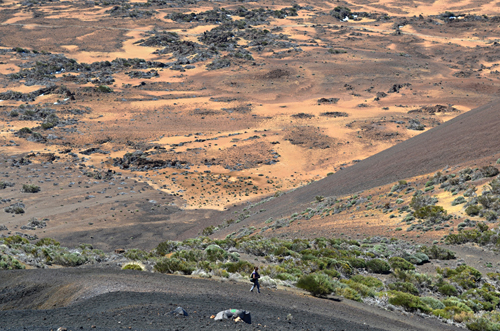 Temperatures should hover between 9 and 11C in the crater and -1 and 4C on the peak of Mount Teide. 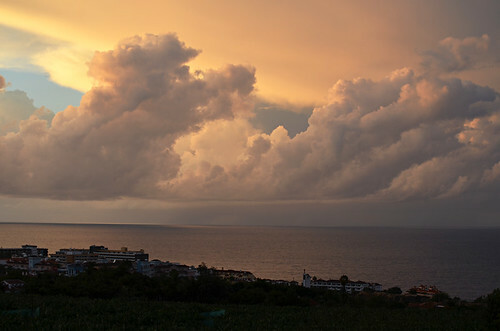 Pic: Moody cloud formations off Tenerife’s north coast on Saturday evening.